Spend enough time in New York City, and there won’t be much that can surprise you. Two-hour lines to get a donut? Yeah, that makes sense. Mummified bat corpses in the alley behind the local church? Of course, that’s where mummified bat corpses belong. Human feces inside a Chinese takeout box on the floor of the subway station? Not my first choice, but I get it. Some of New York’s smaller, hairier residents—its mice—seem to be adapting to the city in a similar way, evolutionarily. A team of scientists analyzed the genomes of white-footed mice captured in New York and New York-adjacent parks to see whether they’d evolved given the pressures of city life. It turns out that the urban critters have probably been adapting, genetically, to their new city diets—which may or may not include cheeseburgers and pizza. The researchers gathered 24 mice from across three city locations, including Central Park, the New York Botanical Gardens, and Flushing Meadows. 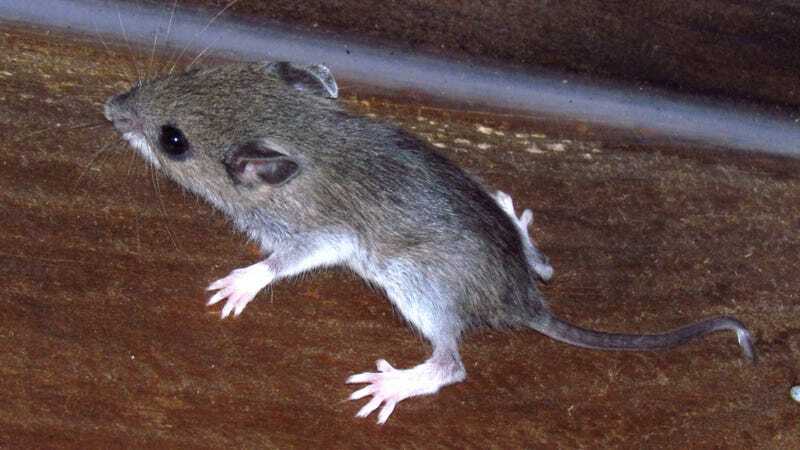 They found another 24 rural mice which instead came from state parks in New York’s Hudson Valley, the Northeastern end of Long Island, and the Kittatinny Mountains in New Jersey (which are really pretty, by the way). The researchers then extracted, sequenced, and analyzed genetic material from the rodent’s livers and compared them. They found that there was less genetic diversity in the city mice than in the rural mice in general. The scientists also noticed some slight changes to some specific genes dealing with the mice digestion in the city dwellers. “Our evidence suggests that the evolution of mitochondrial and metabolic processes has been important to the success of P. leucopus living in NYC’s urban forests,” the authors write. Basically, these findings raise the possibility that the mice have been evolving based on their lower quality but more plentiful urban diet. The paper’s first author, now a postdoctoral researcher at Metabiota, thinks it could be pizza and cheeseburgers, but its other author, associate professor Jason Munshi-South at Fordham, thinks it’s more likely a difference in the availability of certain kinds of plants and insects. City living can be tough. But you get used to it.